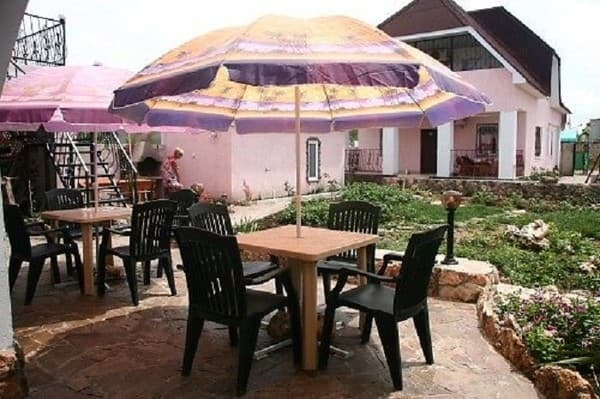 Mini-hotel "Na Shady" is located in the village of Chernomorskoe, on the western coast of Crimea, 10 minutes walk to the beach. On the territory of the mini-hotel there is a parking lot, BBQ for cooking shish kebab, a cozy place for relaxation, a kitchen and a sauna. 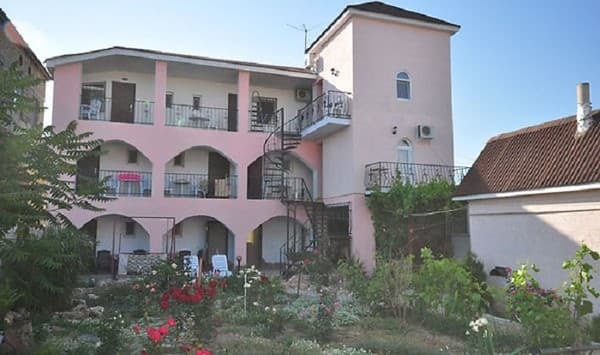 Guests of the mini-hotel "Na Shady" receive a transfer service from the bus station in the Black Sea to the mini-hotel. Comfortable and spacious rooms of different capacity are provided. 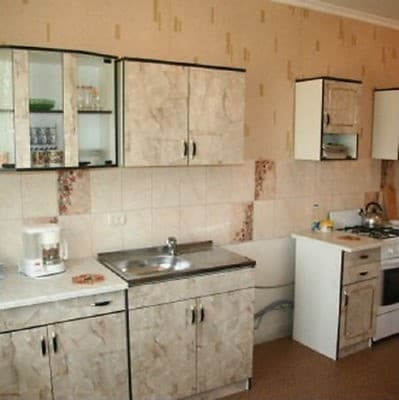 In the rooms: balcony, refrigerator, tableware, TV, shower, toilet, washbasin, hair dryer. The frequency of cleaning in the room - daily. Change of bed linen - on request. PRICES MAY CHANGE, YOU NEED TO RECEIVE INFORMATION FROM THE OPERATOR! Description of the room: Comfortable single room with all amenities. 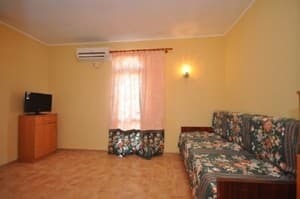 Description of the room: The room has all the necessary furniture: two beds, a wardrobe, an armchair, a table, a chair. 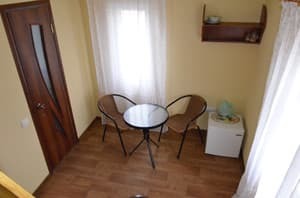 Description of the room: The room has everything you need for a comfortable stay of two people: a double bed, upholstered furniture, a wardrobe. 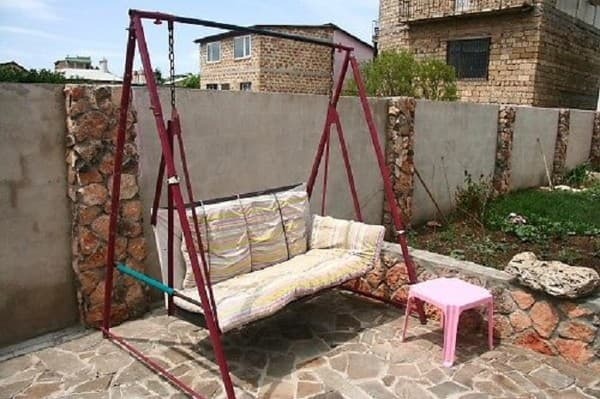 If necessary, accommodation of 4 people is possible. Description of the room: The room has all the necessary furniture: a double and single bed, an armchair, a wardrobe, a table. Description of the room: The room consists of two floors. 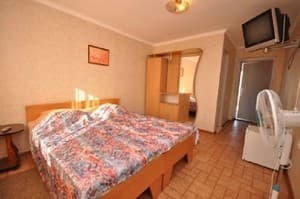 On the first floor - a table, chairs, a separate bathroom, on the second - a double bed. Additional place - 50% of the cost. 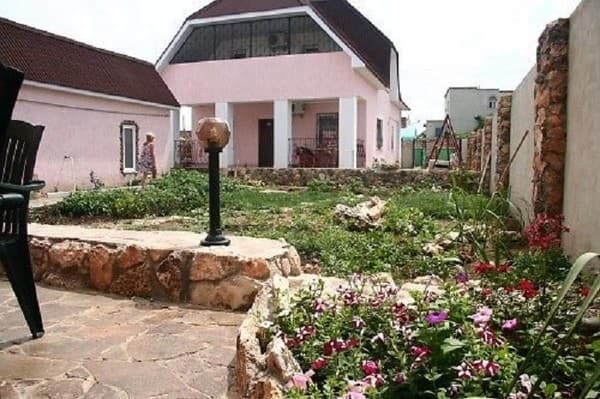 Mini-hotel "Na Shady" is located in the village of Chernomorskoe, on the western coast of Crimea, 10 minutes walk to the beach. There are shops nearby. You can get to the village from the railway station of Evpatoria - 70 km, by shuttle bus, which leaves directly from the station or by taxi. From Simferopol (140 km) are also followed by buses (3 hours en route, followed by Evpatoria). You can order a taxi. In the village itself you can call a taxi anytime and anywhere.